the request is made after the expiration date of the prescription (a two month extension is allowed). The Texas Optometry Act and a FTC Rule require the optometrist to give the patient the prescription following an eye examination. 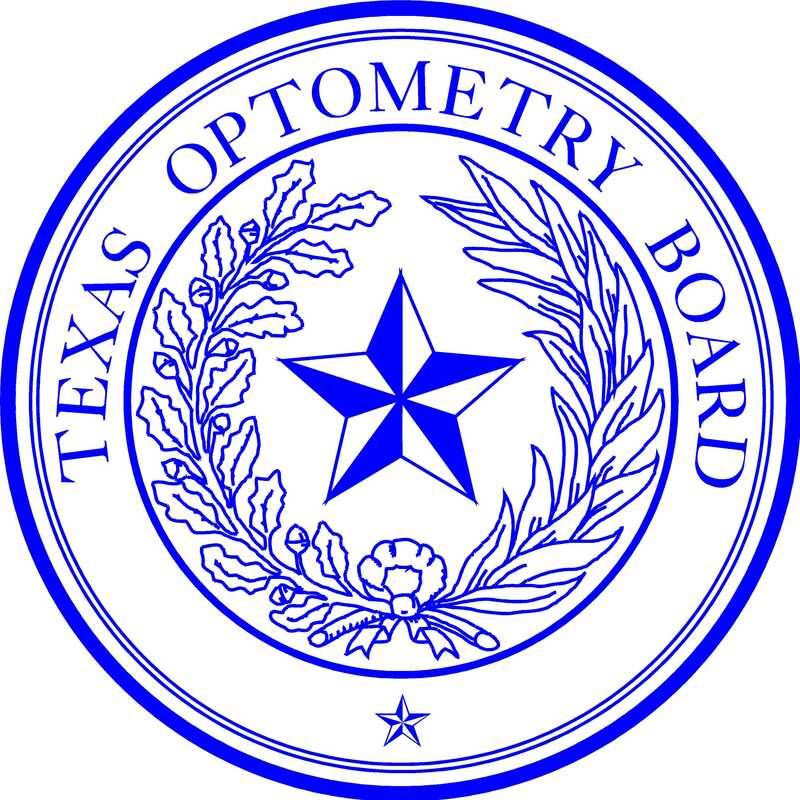 The Texas Optometry Act does not require an optometrist to give a patient the prescription if the examination fee has not been paid. Am I entitled to a copy of my patient records? The Texas Optometry Act states that the optometrist owns the patient record, but the patient is entitled to a copy of the record when a signed written request is made to the optometrist. The optometrist may charge a reasonable fee. A “patient record” has been defined by Board rule as the patient chart, historical record, or working document during the course of examination and patient care between the doctor and patient (but should not be considered a prescription). “Prescription” for spectacles, contact lenses, or ophthalmic devices is defined as a written order signed by the examining optometrist, therapeutic optometrist or physician. Federal law (HIPAA) also imposes requirements on optometrists. Does state law require that I have an eye examination each year? Can opticians change my prescription from bifocals or trifocals into progressive lenses or change the type of contact lens? No. Opticians must fill the prescription as written. If changes are desired or if the optician has a question regarding the prescription, the optometrist must be contacted. For an optician to change any prescription without authorization constitutes the practice of optometry without a license. Yes. For more information on purchasing contacts, use this link. Where can I find more information about optometry on this website?